So far, I’ve resorted to reusing grounds that I brought from home. This at least gets me my morning kick. But what happens when I want to go to a coffee shop? Where could I go? There are three options I know of in Monrovia. 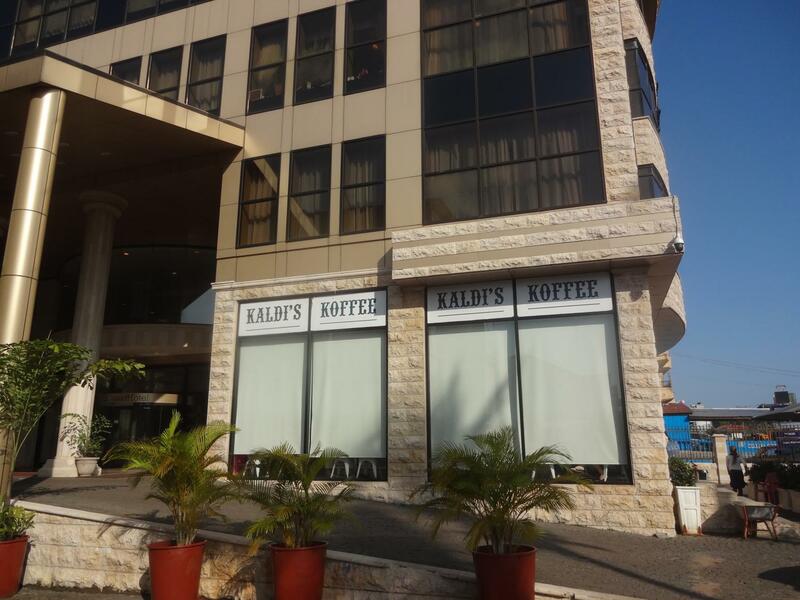 There’s Kaldi’s Coffee, outside of the Royal Hotel, which has amazing pastries and pretty decent coffee, but you will pay a premium and likely have to wait in line a while. Then there’s the donut and coffee shop inside of the Royal Hotel, which sells donuts for only 2 dollars and cappuccinos for 4 (these may not sound that cheap, but in Monrovia, believe me they are). You can even use the Royal Hotel’s WIFI for free. I’ll admit that the connection is quite poor, and I often resort to using my USB Internet even when the Wi-Fi is available. But it is a nice relaxing space to work in. Finally, there’s Peace Café and Yehbo, which is unassuming on the outside. It’s located at a gas station on the seaside (there are no addresses in Monrovia, so people rely on seaside and landside to get a rough idea of where a place is located) of 17th street on Tubman Boulevard. 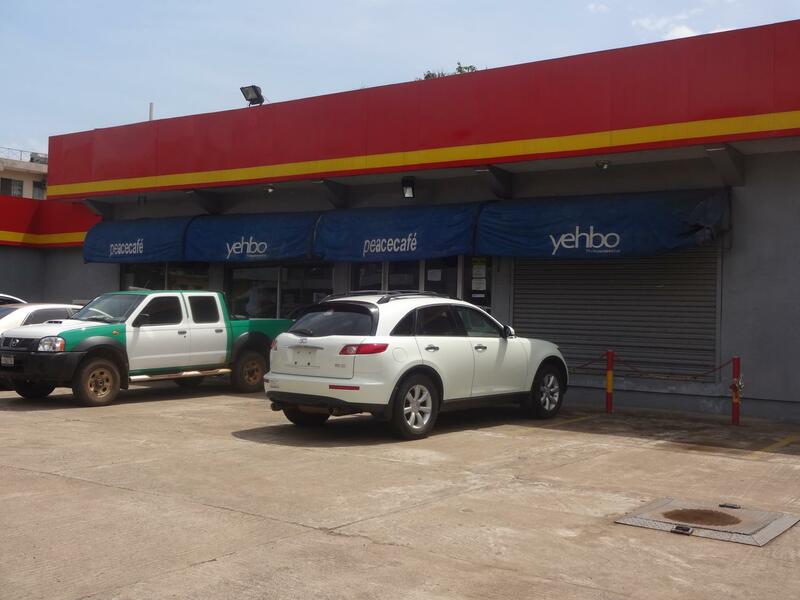 It looks pretty similar to a typical gas station shop. But things change when you enter. Peace Café and Yehbo is a spacious place for coffee, food, and productivity. It is split into two sections, Yehbo, an office working space, and Peace Café, a coffee shop. They are both run by the girls rights advocate, serial social entrepreneur, future TEDx speaker, and Branson Scholar, Barkue Tubman, who started her business at this location in 2014. Peace Café is to the left with pastries and coffee. There are fresh juices, Liberian food, and brunch. The coffee is all grown in Liberia and is freshly made. Espresso drinks are a bit pricy (6 bucks for a cappuccino) but no worse than those at Kaldi’s Coffee. In addition, Peace Café has the best WIFI in town, though you will have to pay $1.50 an hour to use it. 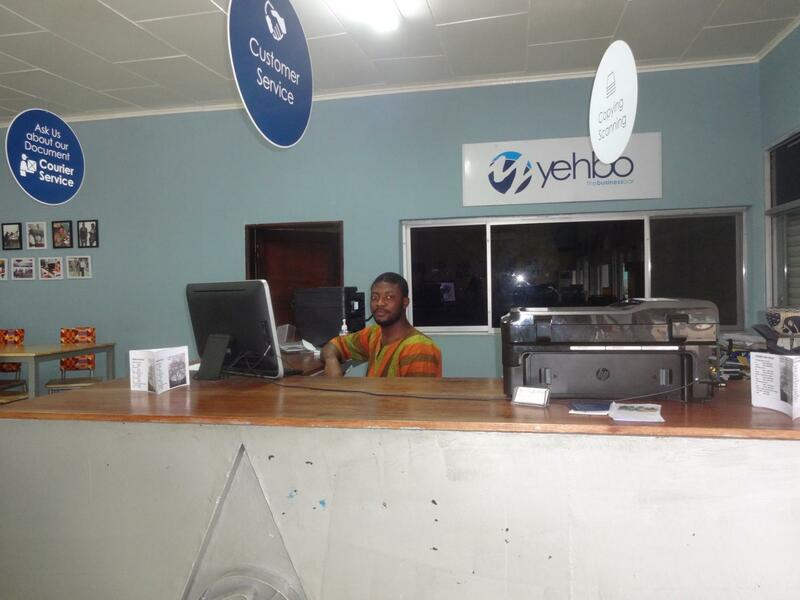 Yehbo exists to the right and has desktop computers available for use in addition to a printer and scanner. There are even binding and lamination services. 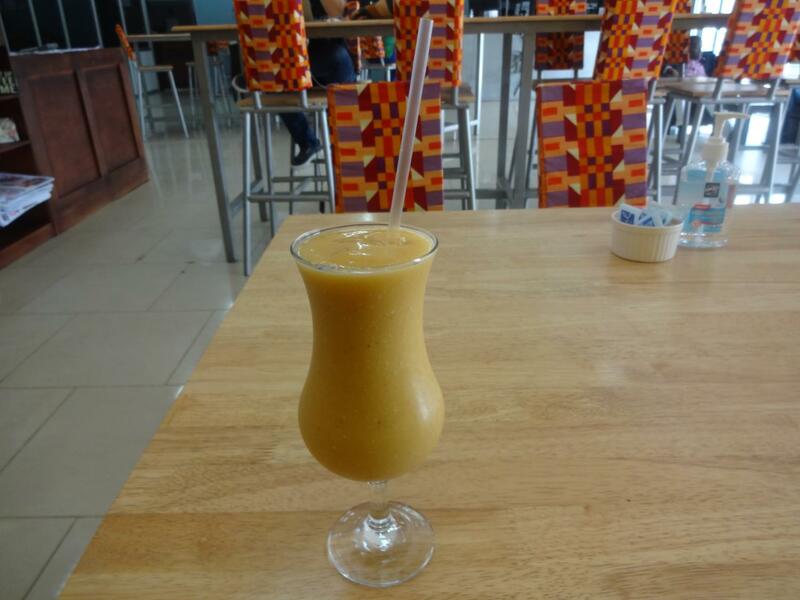 Peace Café and Yehbo is the best coffee shop in Monrovia to get work done in. It functions as a small coworking space, where entrepreneurs and remote workers can be productive and meet other like-minded people. I am not aware of anywhere else like it in Liberia. The building Mrs. Tubman-Zawalo uses was an event center before she turned it into a socially conscious coffee company. Barkue Tubman’s mission with Peace Café is to promote reconciliation and youth empowerment and employment. For this reason, Peace Café hires mostly young people (typically under 30-35). In addition, in order to promote gender equality, Peace Café hires a proportional mixture of men and women. Peace Cafe's use of local ingredients and Liberian food specials promote Liberian culture and agriculture. When it comes to coffee and cocoa, Liberia is no Cote d'Ivore. Liberia’s farming industry has not quite recovered since the Civil Wars, and even staple crops like rice are imported. Coffee and cocoa are being grown, especially in the northeast Nimba County, but much coffee and cocoa is exported. 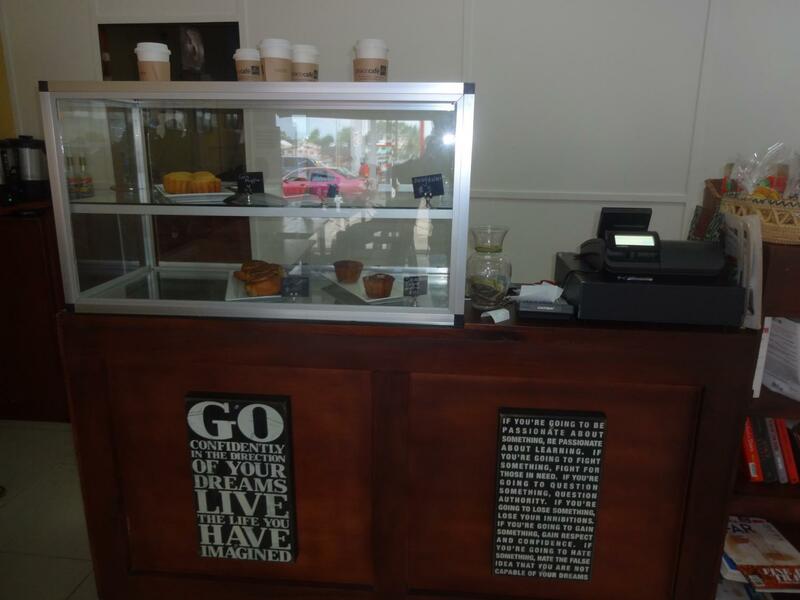 Peace Café is able to directly contribute to the Liberian economy by buying Liberian coffee and selling it locally. Mrs. Tubman-Zawalo's husband owns a farm in Nimba County, and they are hoping to begin growing pineapples there, creating a steady stream of produce for Peace Cafe and agricultural jobs in the region. 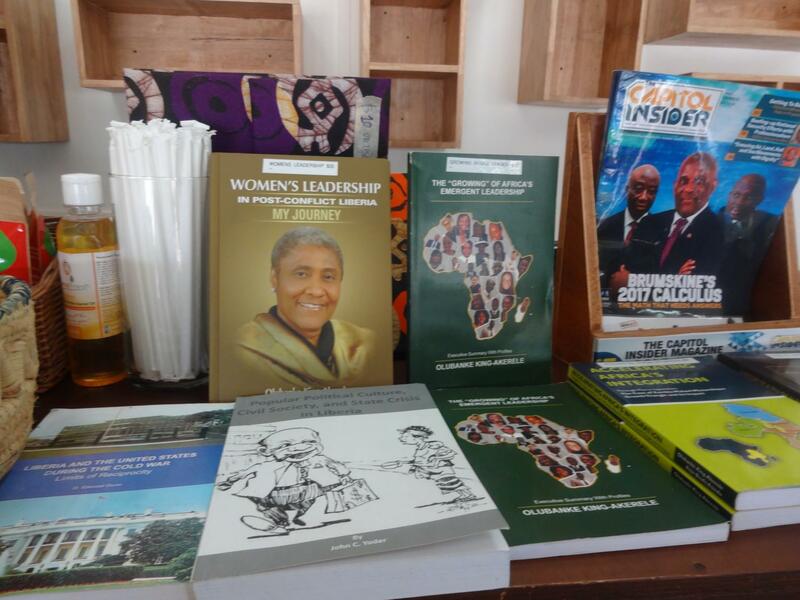 Peace Cafe also has books for sale, primarily by Liberian authors, though many are written by Western authors discussing Liberian history. 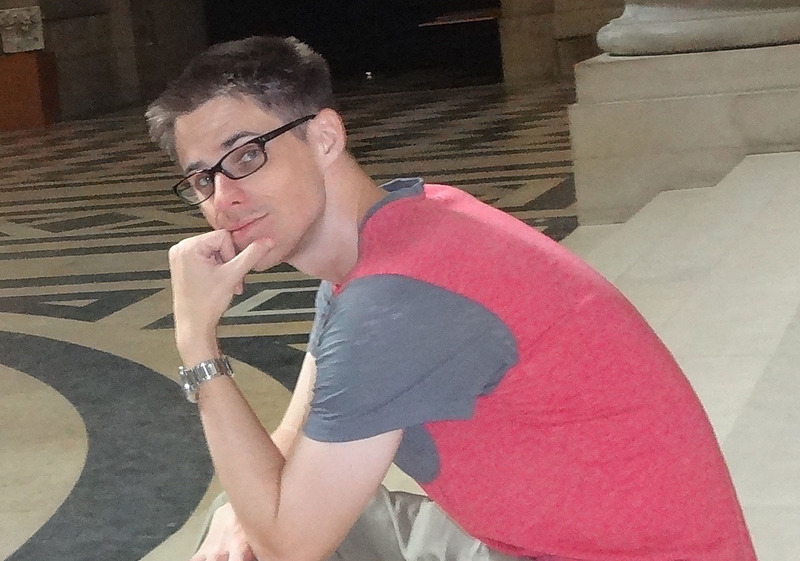 Book signings and even book readings occur. 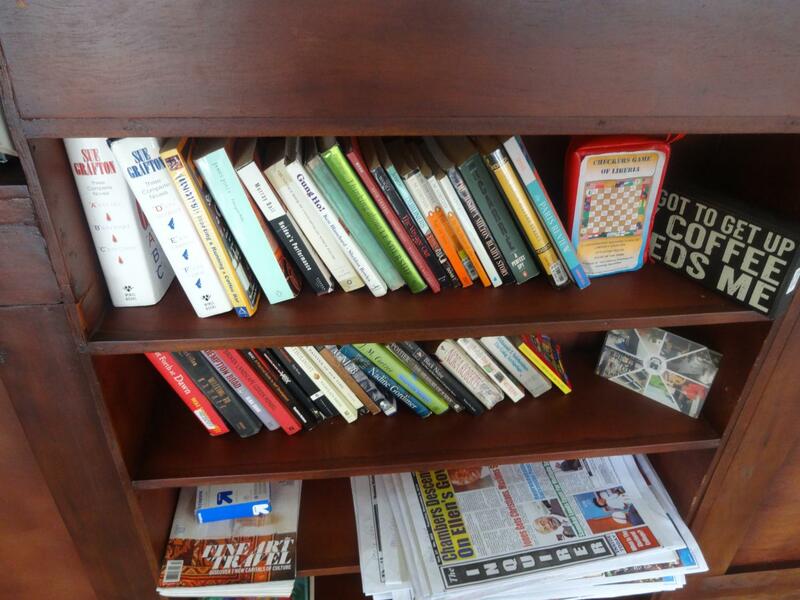 Many customers choose to donate old books, so there exists a section of books to be read in the shop. If the books for sale are a testament to Liberian erudition, the donated books can be seen as an ode to pretension, with volumes of the Paris Review (I thought I was the only one who read this former front for the CIA) and the nearly unreadable Finnegan's Wake. Peace Cafe also sells t-shirts made in Liberia and palm kernel oil, which is used for hair and skin care. Liberian tea is sold by the bag. Barkue Tubman hopes to use Peace Cafe as a platform for Liberian entrepreneurship. This is why she uses Liberian-made products. She often hosts networking events at her cafe, where entrepreneurs can discuss their ideas, and audiences can ask questions. She describes these events as a platform to show what you can contribute as a Liberian professional. With the elections coming up in November 2017, Mrs. Tubman-Zawalo hopes to host the top 5 (out of potentially up to 32) Presidential candidates for an informal (no suits allowed) meet your candidate session, where candidates can express their views, and young people can question and discuss those views. She wants to showcase to the youth of Liberia that they are voting for their future. Barkue Tubman, who describes herself as an unashamed city girl, grew up in Monrovia, enjoying its vibrancy and swimming in the pool of the luxury Ducor Hotel. The coup in 1980 caused her and her family to flee to Manhattan, where she spent her teenage years before attending the Hun School in New Jersey and Elon College in North Carolina. A self-described workaholic, Barkue Tubman worked in the entertainment industry in Manhattan, Atlanta, and Los Angeles before moving back to Liberia in 2007. Though she rarely ventured outside of Monrovia as a child, Mrs. Tubman took this as an opportunity to get to know her home country and explored the rural areas around her. She is now Liberian National Tourism Coordinator and hopes that her experience in marketing and branding, as well as Liberia's boundless natural beauty, can bring in tourism revenue and an international appreciation of Liberia. Barkue Tubman initially started Peace Cafe in 2012. It was located in downtown Monrovia, but a lack of foot traffic and bad electricity caused the cafe to move to Singkor in 2014. 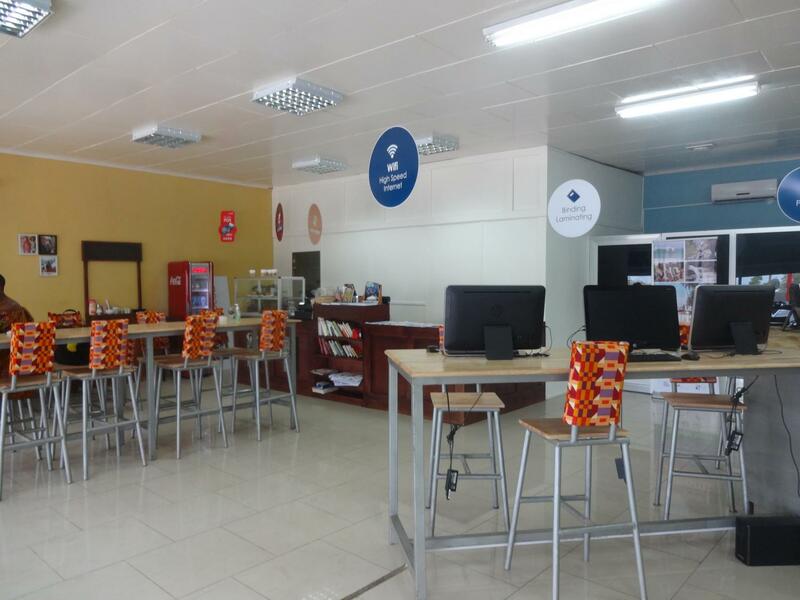 This turned out to be a blessing, as the extra space in the Singkor location allowed the cafe to add a coworking and office space. Hence, the cafe became Peace Cafe and Yehbo. If Liberia is to develop, it will require risk-taking entrepreneurs with a social mission to lower the unemployment rate and give the youth of this country a chance. Barkue Tubman exemplifies this ideal, and Peace Café and Yehbo is just one of her many ventures. The example Peace Café sets should not be overlooked. If you’re ever in Monrovia, I encourage you to stop by.